This particular roots reggae group was born out of many travels, three brothers who along with their family left Chile in October of 1973 during a military coup d’ etat. They arrived on the Caribbean island of Montserrat in November after passing through Caracas, Venezuela. Growing up as youths they met and learned from many rastafarians, listened to soca, calypso and of course reggae music, Arrow was a local artist at that time and quite active at the yearly carnival celebrations. In the ghettos in those times Jimmy Cliff & The Wailers were the popular voice of the people and a local phenomen in the Caribbean and beyond.About 7 1/2 years later their family moved to the US and it was at this particular time while going to school that Iration was born. Music became a sort of cure in coping with discrimination and so many other obstacles they faced in the suburbs of New Jersey. In school they discovered musical instruments and saw an opportunity to learn, so it was a natural process. Their first performance was at Ramapo High School’s talent show in 1986 and for them it was an experience to remember. Iration finally got a break to be part of a leg of the Tri-ad Reggae Sunsplash in 1991 held in Greensboro, North Carolina. They opened up for JC Lodge from Jamaica, Mojo Nya, Truth and Rights and Art Awareness Ensemble, this was the first time they performed at a big festival or venue. The three brothers were not alone at the beginning of this journey, Keith and Carney both from Montserrat use to stop by their house to rehearse on weekends, included were Diederik Olislager, David Ondrick and Rich Tozzoli completed the band. Last but not least was the support and guidance of a Jamaican by the name of Mr. Loran Hector who provided the group with wise solid advice and funds at that time to stay at a Hotel & Resort in North Carolina during the Sunspalash. One year later in April of 1992 Mr. Hector flew Iration out to Kingston, Jamaica where they recorded their first single “The Day After” with artists Ruffy & Tuffy published & released by the Independent label “Mission 101 Records”. After that experience Patricio visited Chile in early 1993 while promoting the single and within a year they were all rehearsing together again. 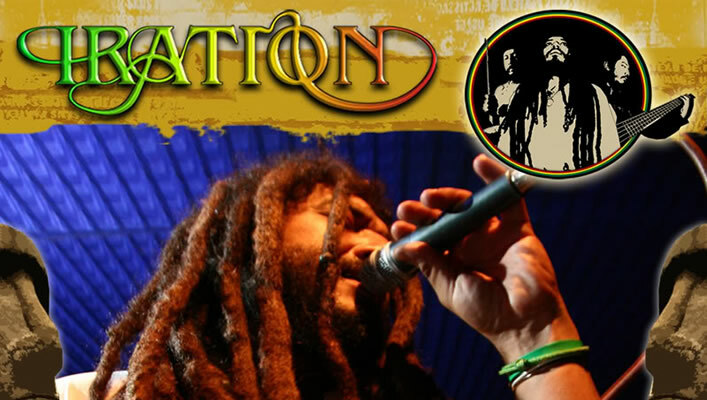 They naturally began to compose songs in spanish for the first time and became the pioneers of a solid foundation for what became the Rastafari movement in Chile and by 1997 had enough material to record their first album at Firehouse Studios in New York City titled “En Exilio / In Exile”. The dub version of this album was released as “Instrumental” and continue to release many singles both in spanish & english.